Corb7 International April 18, 2018 Newsletter | Corb7 International, Inc.
What is Wrong with Seychelles? How to Speed Up Your Metabolism! How to Pack a Suitcase Like a Pro! Even though this video (above) is dated 2017, the information it contains is very much current. 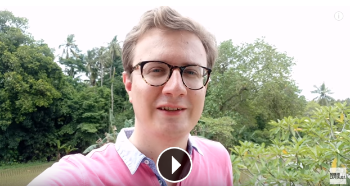 We often get questions about banking or owning a company in the Seychelles, and this presentation addresses why we are not a fan and much prefer doing business in and through better known jurisdictions with recognized infrastructure and regulation. If you are not familiar with Seychelles, it is an archipelago of 115 islands in the Indian Ocean, off East Africa. Hope you find this presentation informative. I am fanatical about staying organized and focused. To give you a quick example, I have been using the Franklin Covey Planner System since 1995. So for the last 23 years, I have been using essentially the same “old school” handwritten daily planning system. In fact, each year is kept neatly in an annual binder, and on a whim I can walk steps from my office – open one up – and tell you exactly what I was doing on any given day within those years. If we ever meet in person, you may not see it, but somewhere nearby rests my Franklin Planner. It may have some drawbacks when it comes to the time needed to think and make notes, nevertheless, I have found its benefits far out pace any downside. Nothing is more satisfying that setting a goal on paper and checking it off when the task is completed. 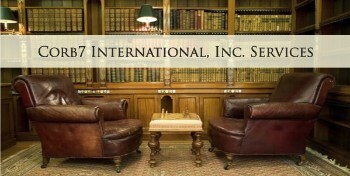 Bottom line, it is a competitive edge and attention to detail that I hold myself accountable to and offer my clients. 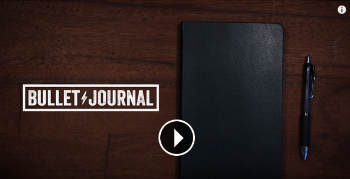 So, when I came across this “new-fangled” system called the Bullet Journal which encourages users to actually write tasks and goals in a journal instead of making notes in their phones, I laughed out loud. The Bullet Journal sure does look a lot like a Franklin Planner, and we thought you might find it interesting to review. At home and at work, we want what we want. The question is, how do we get it? Click on the above video for a fun two minutes. When attempting to lose weight, men and women can expect to hear or read a lot about their metabolism. The process by which the body converts the foods we eat and the beverages we drink into energy, metabolism is widely misunderstood. Many people may have been told that a naturally slow metabolism might be to blame for their weight gain. But according to The Mayo Clinic, a slow metabolism is rarely to blame for excess weight gain, which can most often be attributed to both poor dietary choices and inactivity. Certain conditions that slow metabolism, such as Cushing’s syndrome or hypothyroidism, can cause excessive weight gain, and people who have been diagnosed with such conditions should consult their physicians for advice on dealing with their conditions. But those without conditions that affect their metabolisms may need to make certain lifestyle adjustments that can speed up their metabolisms and help them lose excess weight. · Start strength training. Muscle burns more calories than fat, even when the body is at rest. Building muscle is a great way to speed up metabolism. Each pound of muscle your body has burns roughly six calories per day just to sustain itself. That’s three times the calories that each pound of fat burns. Add that disparity up over time, and a body with significant muscle is burning considerably more calories than one with excessive fat. · Stay hydrated. Dehydration takes its toll on the body in myriad ways, including affecting metabolism. Even mild dehydration can slow metabolism. When the body is dehydrated, its ability to use fat as fuel is compromised, slowing metabolism as a result. In addition, muscles need water to generate energy, so dehydrated muscles will not be burning as many calories as those that are fully hydrated. Make an effort to stay hydrated throughout the day, whether you’re sitting at your desk in the office or working up a sweat at the gym. · Snack, but snack healthy. Healthy meals benefit metabolism, but unhealthy snacks can derail your dieting efforts. Metabolism speeds up and burns calories each time the body eats, and many people adhere to the concept of “grazing” for that very reason. Grazing involves eating several small meals every three to four hours throughout the day rather than the more traditional three full meals each day. Grazing devotees feel that the approach burns more calories than more traditional diets, but the difference in calories burned may actually be negligible. Still, healthy snacking can speed up metabolism and help men and women avoid overeating at breakfast, lunch and/or dinner. In lieu of snacking on potato chips or baked goods, opt for healthier fare such as Greek yogurt or a serving of fruits or vegetables. · Eat more protein. The thermic effect of food refers to the process by which the human body uses energy to absorb, digest and dispose of the food it ingests. Protein stimulates the thermic effect of food more significantly than foods that are high in fat or carbohydrates, so the body will burn more calories digesting dietary protein than it will other foods. In addition to speeding up your metabolism, dietary protein also helps people feel full longer, reducing their risk of overeating. Understanding metabolism can help men and women as they attempt to lose weight and maintain healthy weights once those extra pounds have been shed. 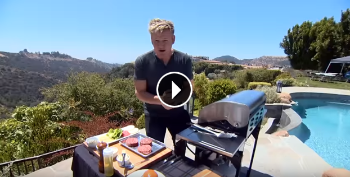 The video we offer above is from Gordon Ramsay and is one of our favorites on the subject making the perfect burger. As usual, he does not disappoint while grilling away in his Beverly Hills backyard. · Reconsider adding a lot of herbs, spices or add-ins to the burgers, as such items can detract from the flavor of the meat. Extra herbs and spices also may require extra mixing, which can lead overhanding. Pack a Suitcase Like a Pro! Once a vacation destination is planned and the trip is booked, the next question travelers often ask themselves is what to bring? Certain trips may necessitate only a few essentials tossed into a tote bag, while other trips may require an extensive wardrobe. Anyone who has wrestled with an overflowing suitcase knows that packing can sometimes be an arduous task. Narrowing down just what to bring can be time-consuming. Finally, getting all of those items into the suitcase, only to find they don’t fit as expected, can be particularly aggravating. Couple the struggle of packing with increased baggage fees at airlines, and it’s easy to see why packing is a part of travel that requires some forethought. Following these time-tested tips for packing can ensure you spend less time wrestling your suitcase and more time planning your and enjoying your trip. · Know baggage rules in advance. Flyers should contact their airline to learn their baggage rules. Many airlines place restrictions on the size of a carry-on bag and limit how many suitcases can be checked into cargo. Knowing the measurements you have to work with can make it easier to pack. · Leave a lot at home. Many travelers view their belongings as security blankets and connections to home. 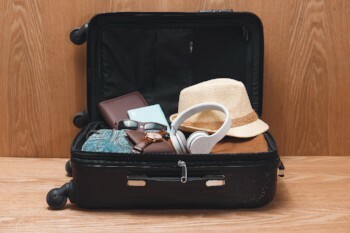 Vacationers may try to plan for every weather scenario or situation, and that often leads to over packing. Pack three shirts for every pair of pants, skirt or shorts that you bring. Stick to basics that make you feel comfortable rather than flashy, statement-making pieces. Choose clothing that’s easily mixed and matched. Don’t forget at least one dressy ensemble for a night out. · Choose the right fibers. Even if you prefer cotton and natural fibers, they can be heavier and take longer to dry. They’re also more prone to wrinkling. Blends, including wrinkle-free synthetic fibers, won’t weigh down a suitcase and won’t look like they’ve been trampled on when you arrive at your destination. · Rolling is a sound packing method. Rolling clothing not only takes up less space, but clothes that are rolled also are less prone to wrinkling. Rolling creates a flat foundation in the suitcase upon which you can build. Put larger, heavier clothes on the bottom near the wheels and lighter tops and undergarments on the top. This will help balance out the bag and prevent it from toppling when the bag is upright. · Bundle clothes as well. Another way to take the work out of packing is to bundle outfits together. Place a pair of folded pants on the bottom and top with a shirt, underwear and socks, and roll them together for each day you will be traveling. · Use handbags for cosmetics. Skip the cosmetics bag and use a second purse for cosmetics and jewelry. This gives you another option when going out on the town and helps you save space when packing. · Limit electronic gadgets. Vacations are meant to provide a break from your routine. Stick to one or two gadgets and leave the rest at home. There’s bound to be plenty of other ways to pass the time while traveling. – Consider using packing cubes for travel. A packing cube easily zips up and can be planned ahead for one or two days wear. They are inexpensive and very effective.